Russians count almost 2 million people in the Arctic (Photo: GettyImages) The original Arctic dwellers in the Arctic are the Saami reindeer herders, but in Russia there lives several groups who are much like the Saami. These groups include for example the Nganasans of the Taimyr Peninsula, Nenets in North-West and the Chukchi of the Chukotka Peninsula whose lifestyles are also dependent in hunting and herding reindeer. Russia has an official list of indigenous peoples. 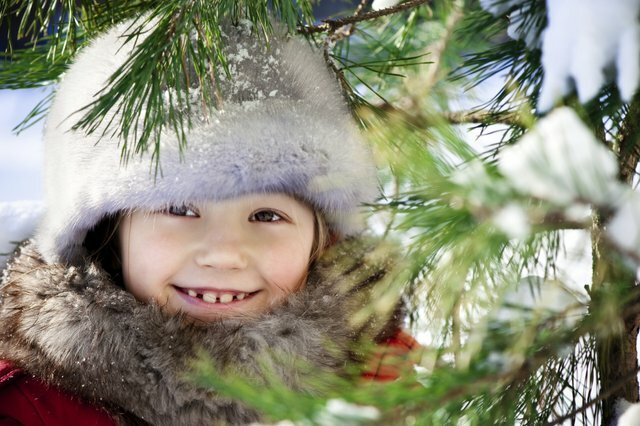 The Common List of Indigenous Small-numbered Peoples of Russia was approved by the government of Russia in 2000. To fall into the categories indigenous the people have to live in their historical territory, preserve traditional way of life, occupations, and trades, to self-recognize them as a separate ethnicity and a population of minimum 50,000. 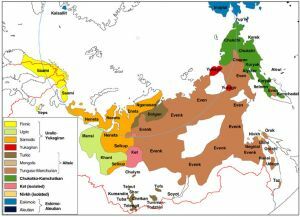 The Russian indigenous population is estimated at approximately 180,000 people residing or approximately in 28 different regions within the Federation. These peoples are subject to benefits according to a number of laws aimed at preservation and support of the ethnicities. Ten of the peoples count less than 1,000 and 11 of them live beyond the Arctic Circle. In the Far North, there is a total of 17 groups recognized as indigenous peoples, amongst them Inuit and Sami. 8 groups live in the Far East, and 8 in Central and 8 in Southern Siberia. In addition, there are 7 groups who have 50 thousand people or less and 4 groups who have 40 thousand people or less. A total of 8 groups are not categorized but are considered indigenous. The regions of the Far North and similar areas make up about 64% of the territory of the country. The total population of the North on the other hand accounts for approximately 8% of the entire population of the Russian Federation. 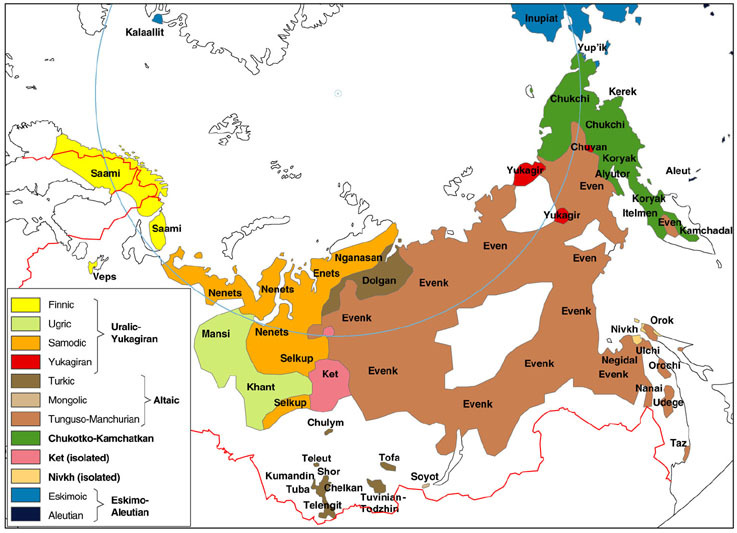 Indigenous people in Russia - Click the map to enlarge (Map from Ansipra).npolar.noThe Russian North accounts for 20% of the national income and about 60% of total export earnings. At the same time, the transport and social infrastructure of the northern regions is underdeveloped, and it encumbers economic development of the Far North. The current state of the Indigenous population can be called critical because the living standard is low compared to the rest of the country's population. The level of subsistence is low, traditional languages are endangered and a number of nationalities are being driven to extinction. At one time independent of the Russian state, the Indigenous populations were integrated in the Tsarist Russian and later Soviet society. In the course of time these ethnic groups have experienced different methods of governance which have had varying consequences on their traditional ways of life.